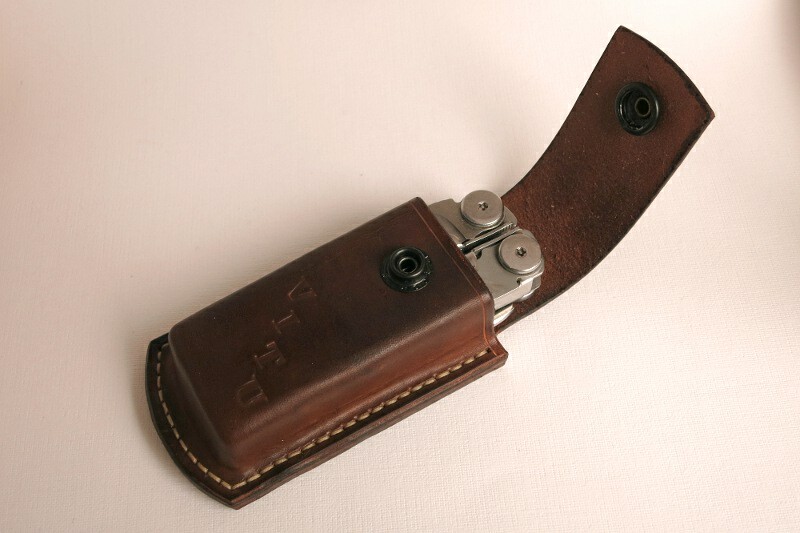 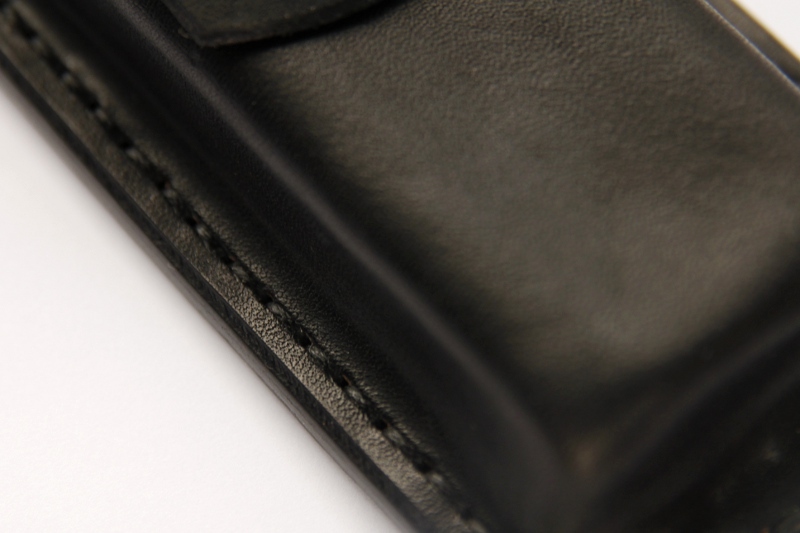 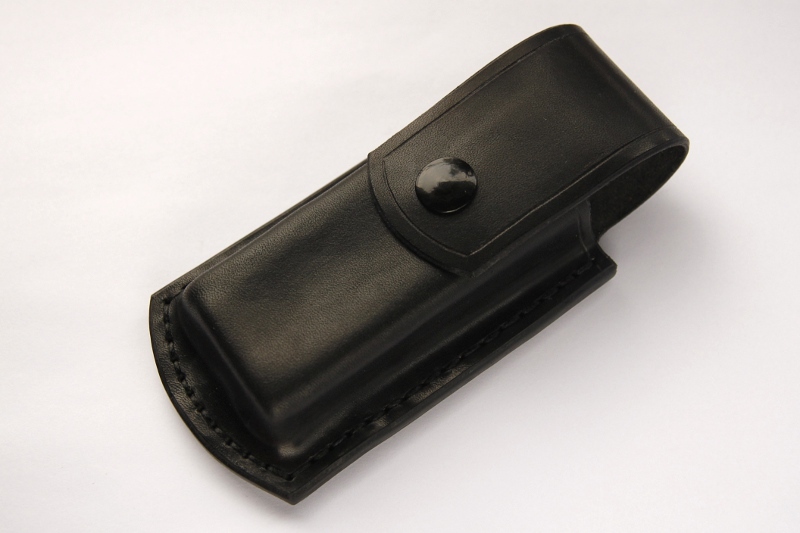 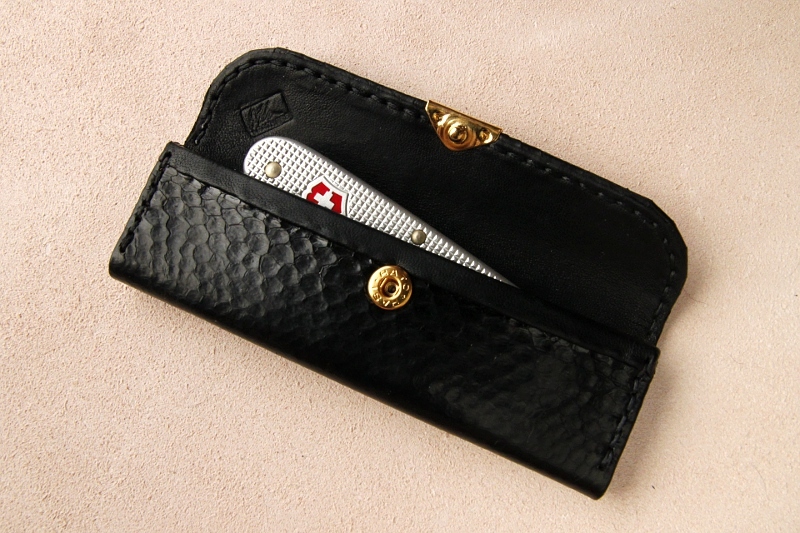 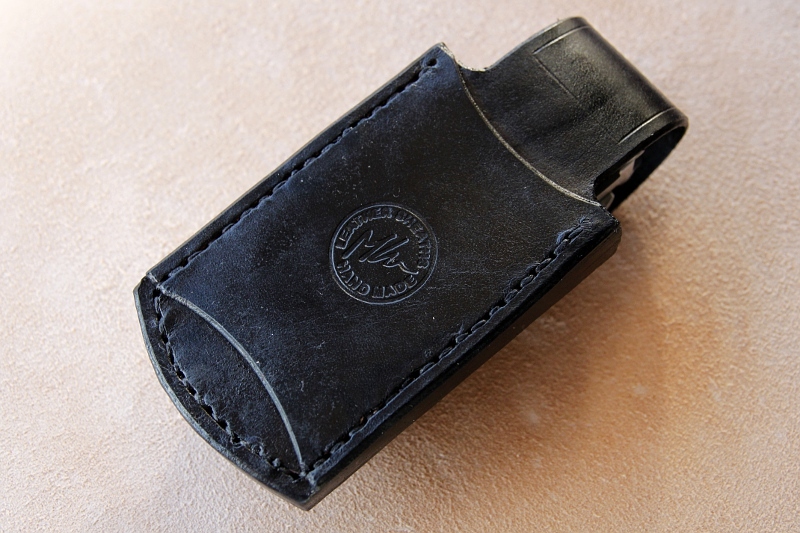 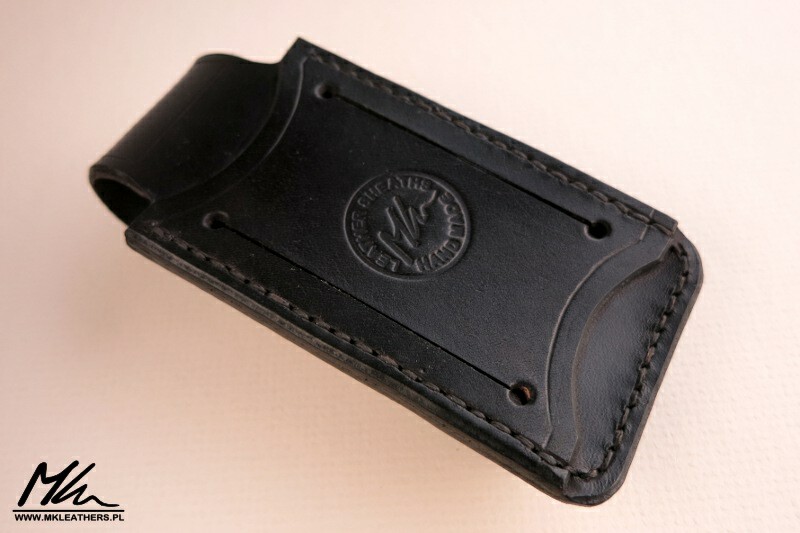 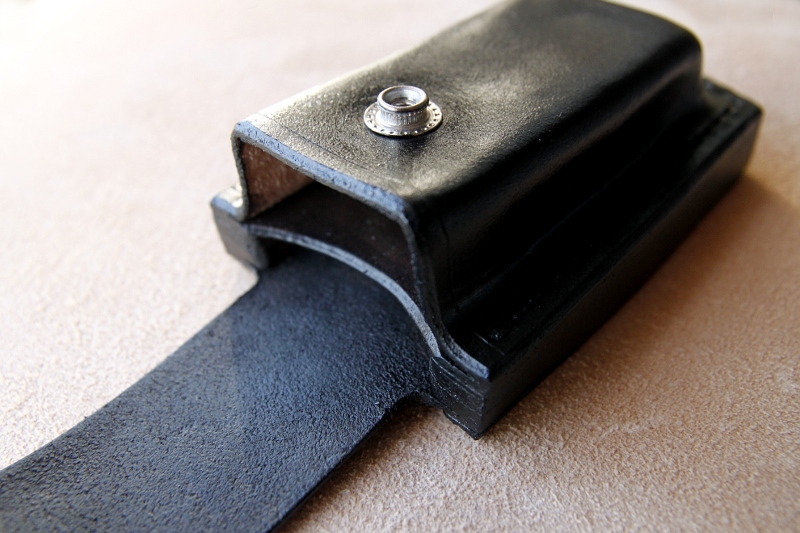 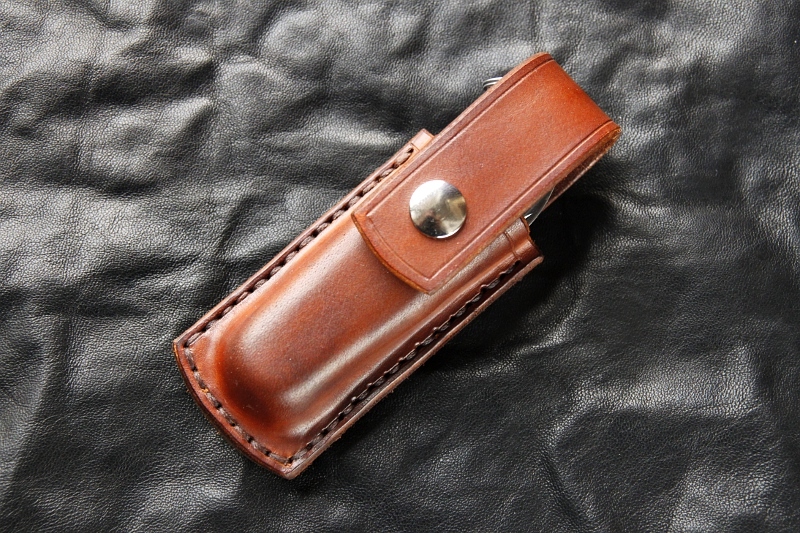 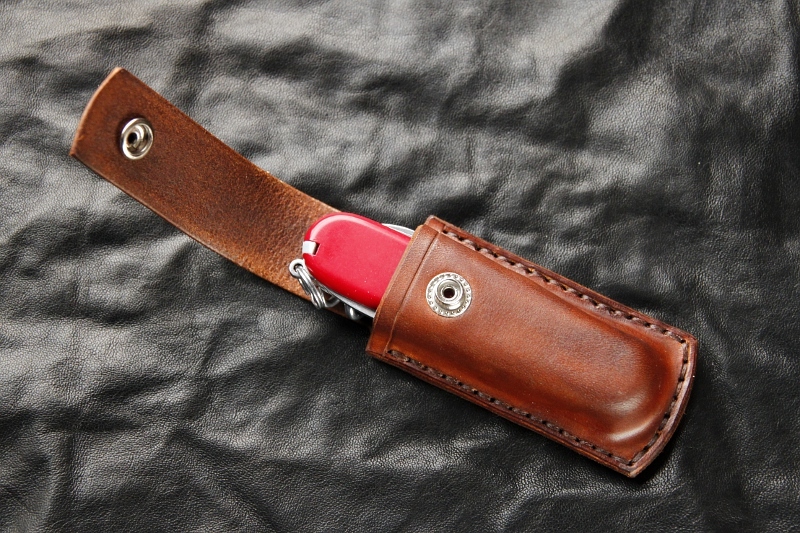 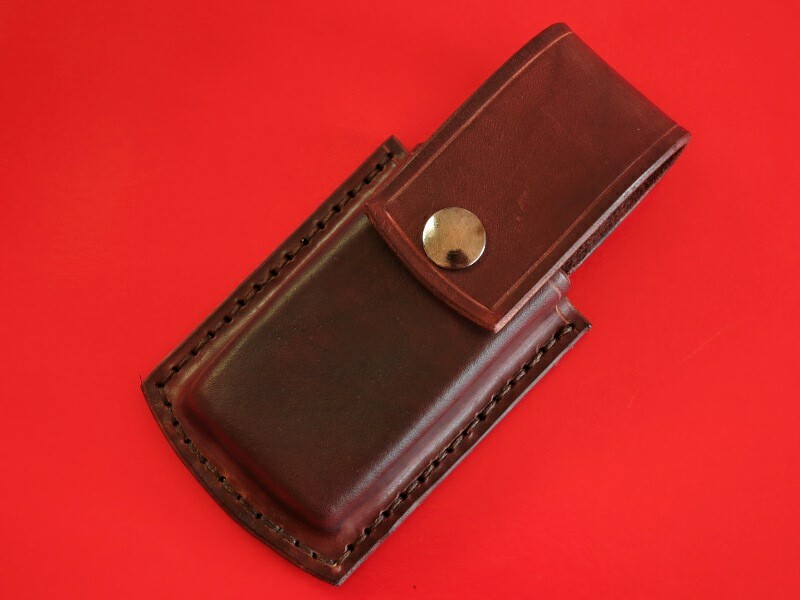 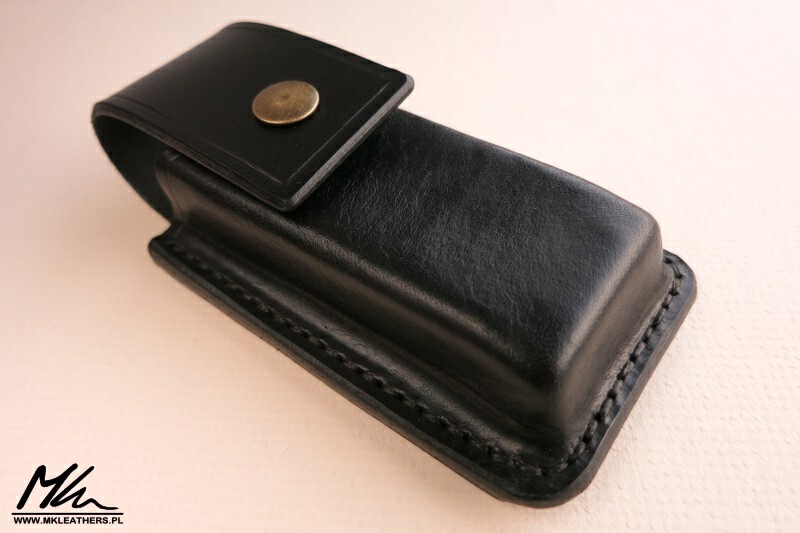 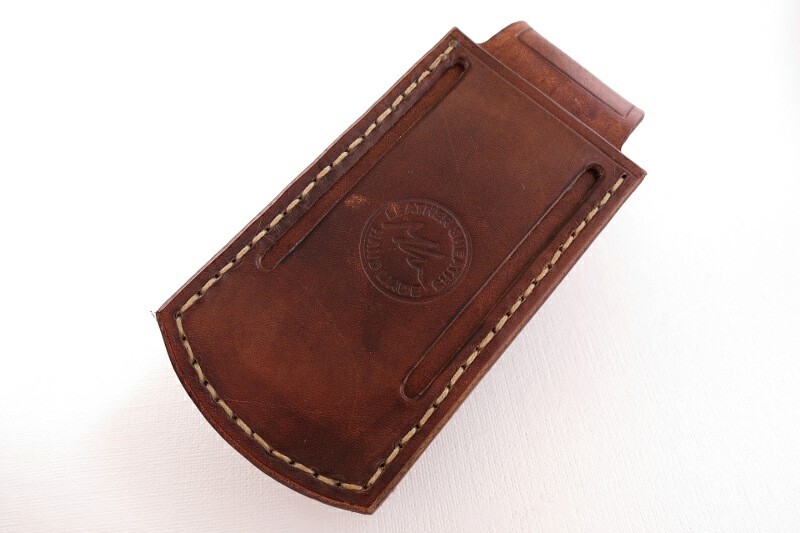 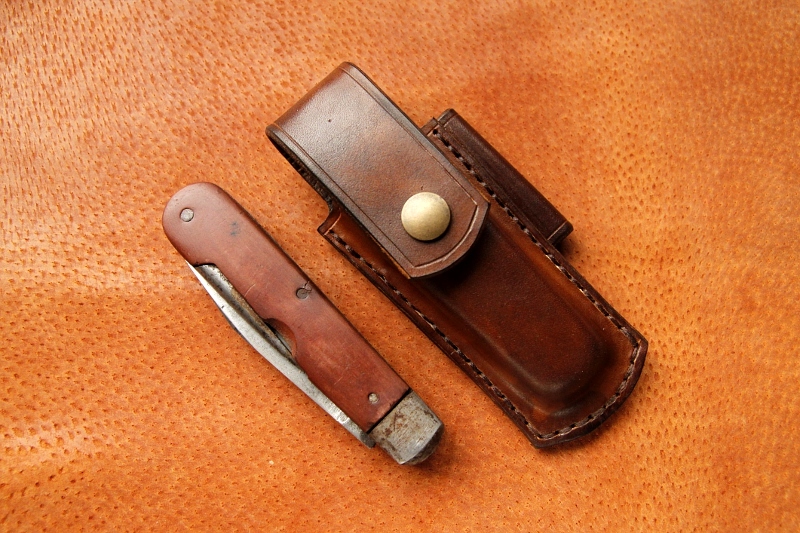 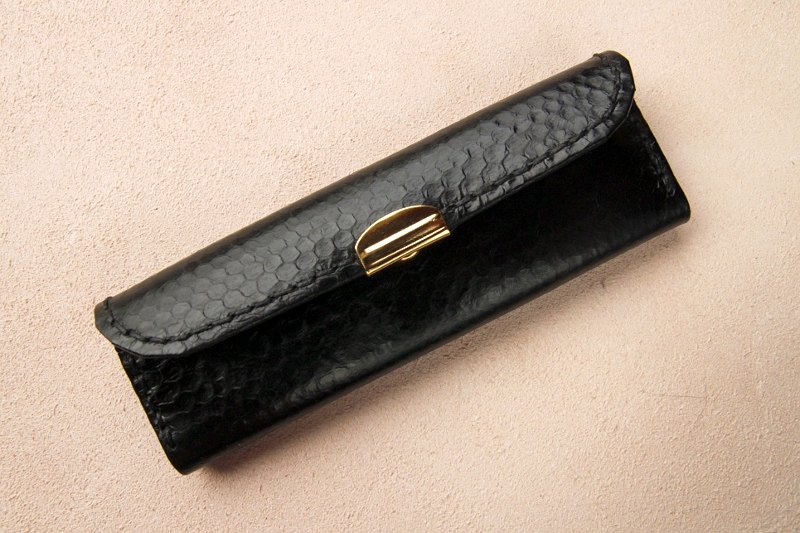 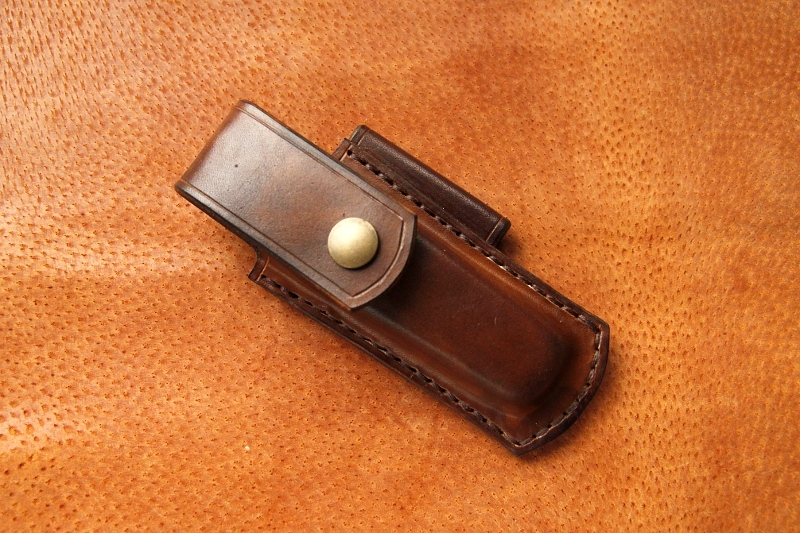 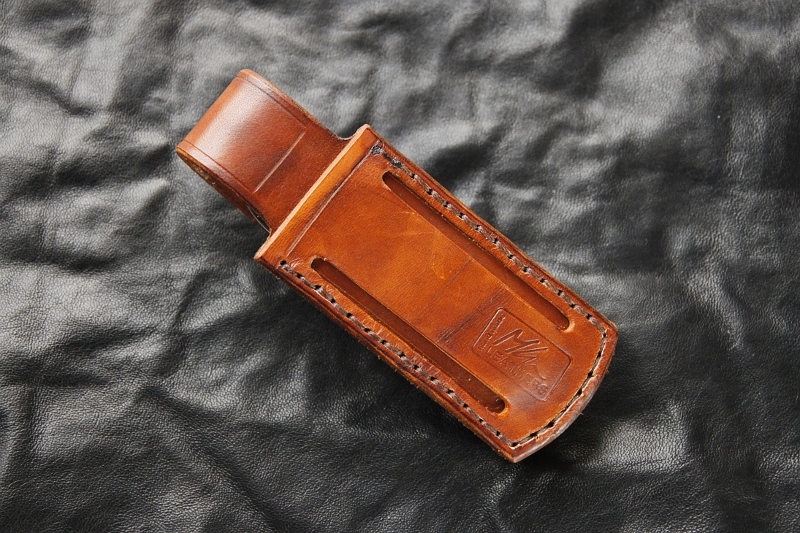 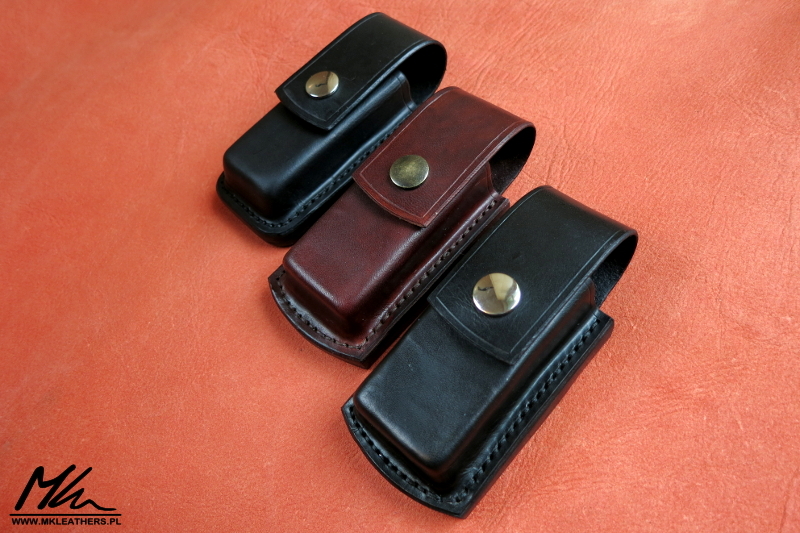 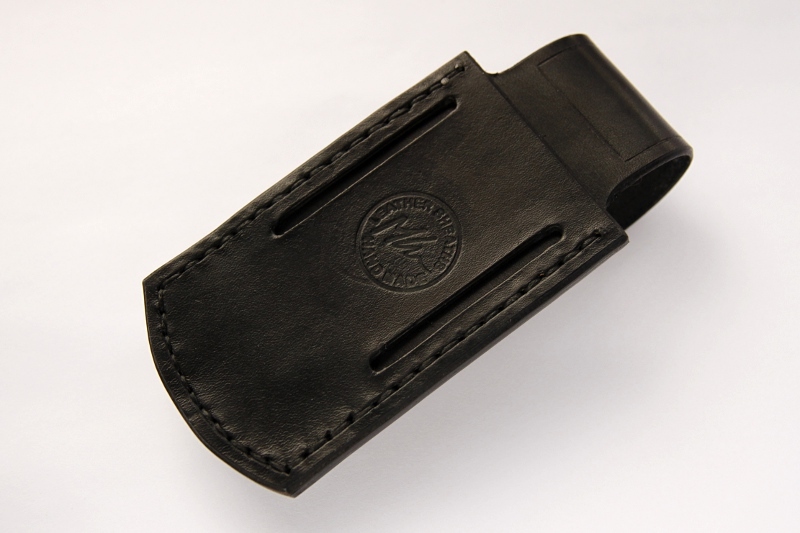 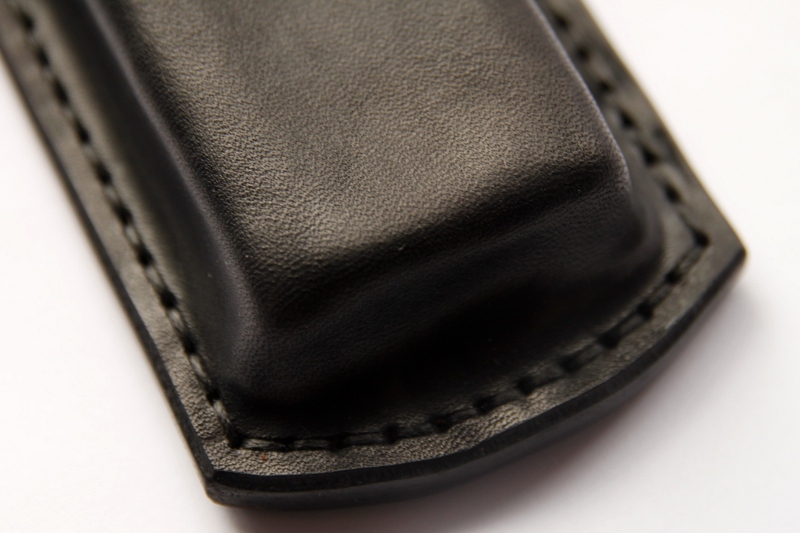 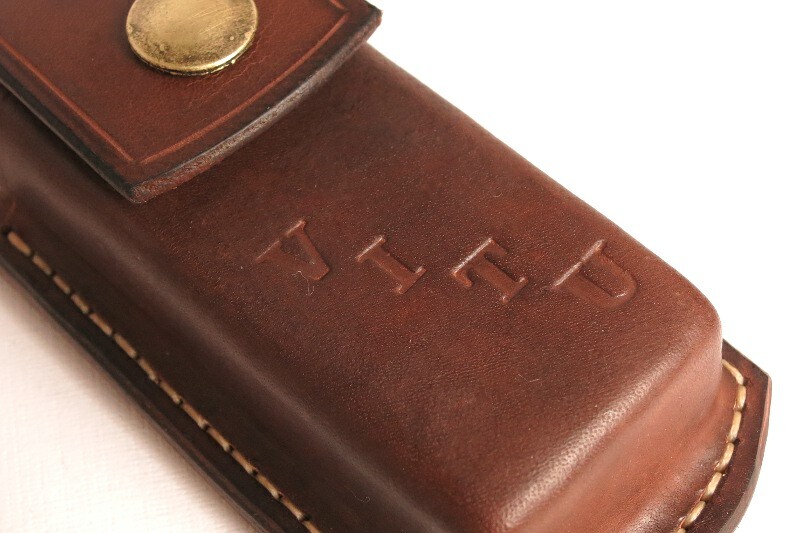 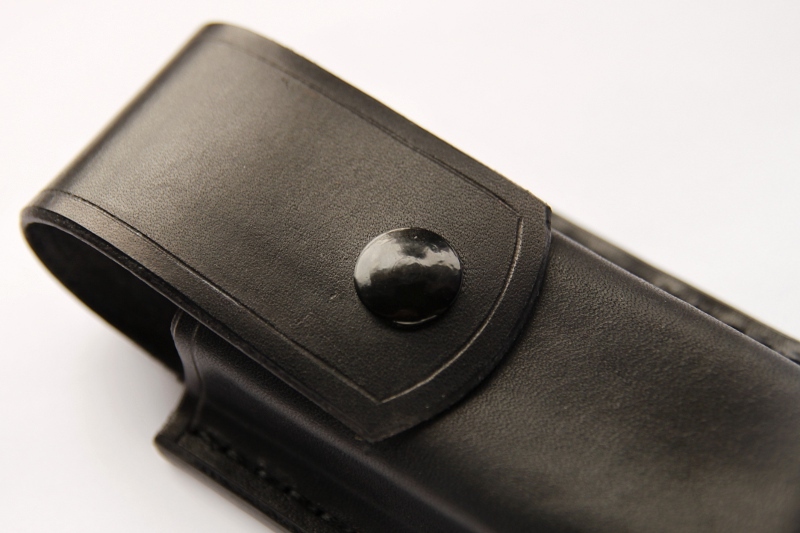 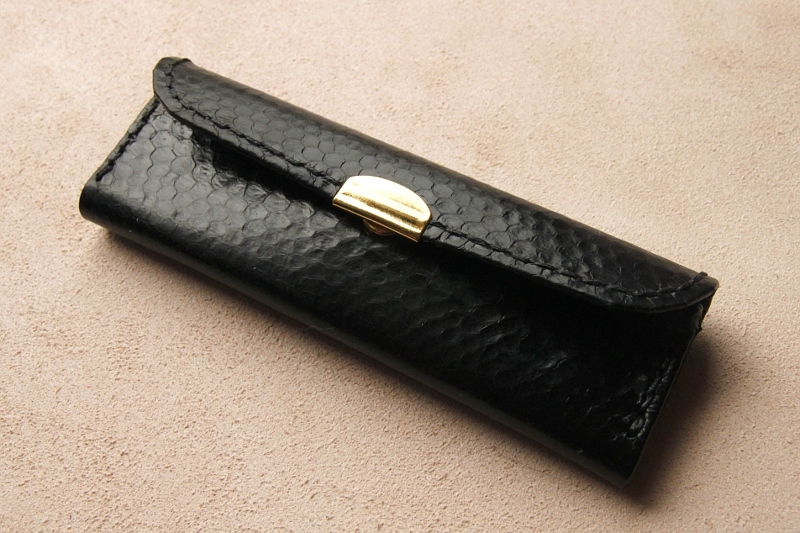 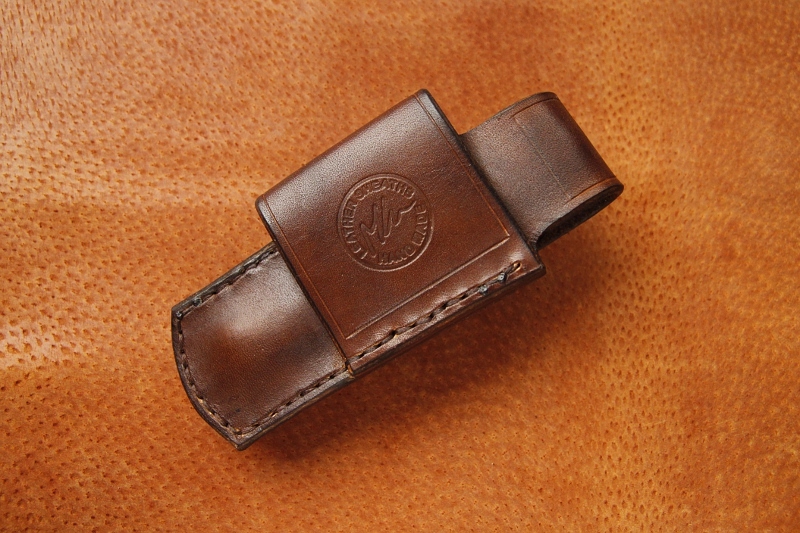 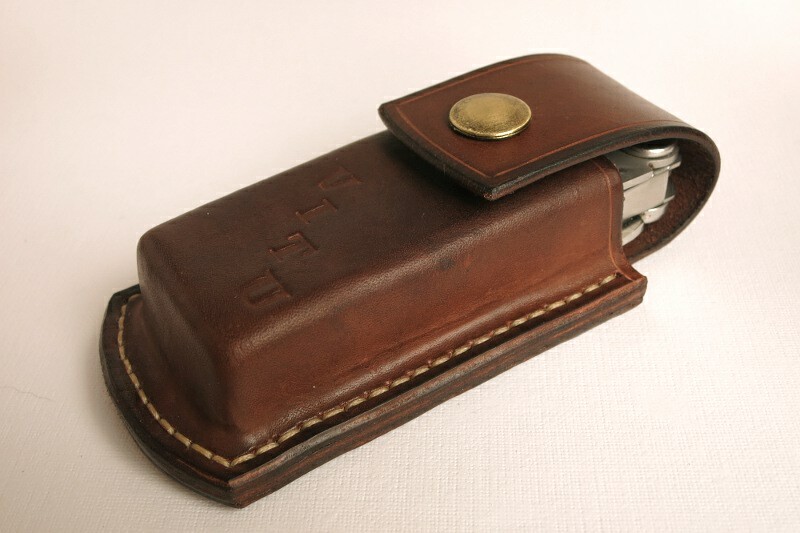 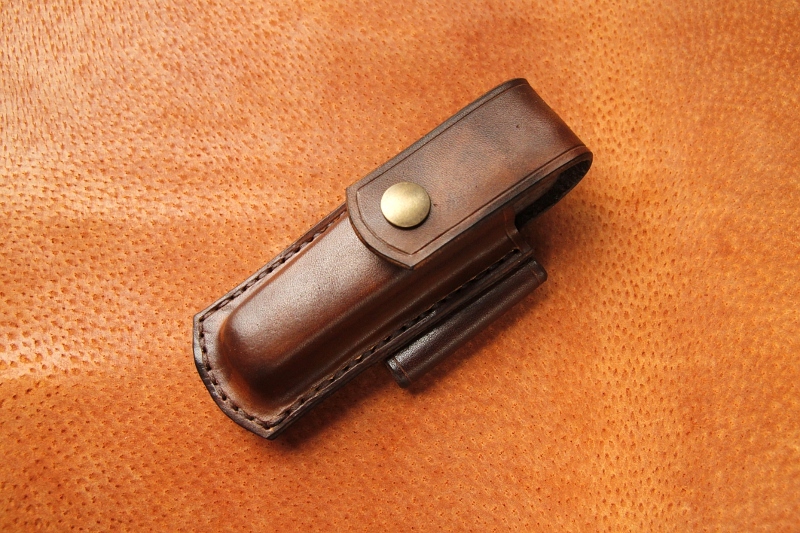 You are currently browsing the Leather Knife Pouches category. 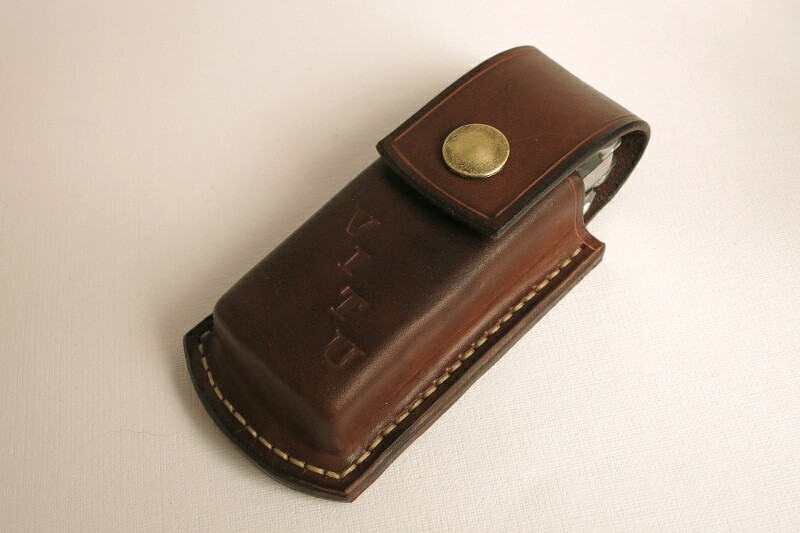 Etui na nóż, ze skóry węża. Pouch for Leatherman TTi with bit kit compartment.